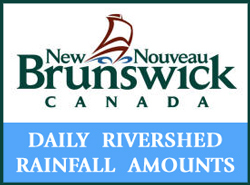 Fly fish for Atlantic salmon on some of the first holding water on the world renowned Restigouche River. Your fishing is on the lodge’s private and exclusive stretch of over three miles of the Restigouche River. Fish at the best times of the day morning and evening till dark. You never leave the camp having to drive to and from distant pools, rivers or fishing public accessible water, There are no draws to be applied for or Zek check in, enjoy fishing private water. Enjoy a real classic salmon lodge experience. You are never rushed to get to the fishing, it’s all here and the pools are rested. You will fish in rotation, a different pool each session and during your week will have fished each pool for a morning and afternoon-evening session of the pools being fished. The lodge is blessed with great holding water from high to low water pools, when other rivers are blown out we tend to still have fishing do to the wide watershed. We fish by wading or from classic 26 foot motor powered canoes. Experience the thrill of Atlantic salmon taking huge runs in these large pools on the Restigouche River. 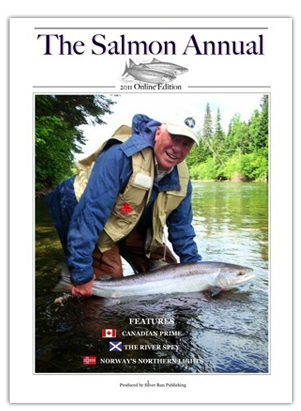 Fight your salmon in pools free of snags and easily waded playing and landing your Atlantic salmon in a grand fashion. There is plenty of time to enjoy the outstanding dinning and although having your main dinner on the river might sound great. We prefer to serve your multi course meal in the relaxed confines of our main lodge regardless of the rain, insects, and hot or cold weather, which “mother nature” decides to provide for the day. Hours spent on the road getting to the river and pools can be put to much better use at the Restigouche River Lodge. 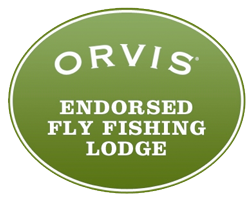 Spend that extra time tying flies, enjoying the grounds and accommodations at the lodge. If you prefer you can just take an afternoon nap before fishing. The ease of travel to and from the lodge. The lodge is accessible by car on major roadways, flying in or taking the train. During your stay at the Restigouche River Lodge you can still keep in touch with your world by high speed Wy-Fi internet service and excellent cell phone reception. Medical assistance is close at hand Cambellton Regional Hospital is a short drive so you can feel safe in any type of emergency.